Home › Film and TV › Star Wars: Episode VII a huge coup for the UK’s film industry. A deal has been struck with Chancellor George Osborne and representatives from Lucasfilm which will bring the seventh film in the blockbuster series Star Wars to the UK for production in 2014. 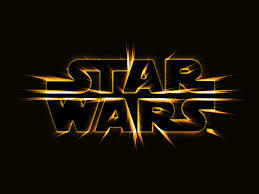 Director by J.J. Abrams will oversee production of Star Wars: Episode VII at studios and locations across Britain. The latest instalment in the Star Wars franchise is based on a screenplay by Toy Story 3 writer Michael Arndt, with original cast members Harrison Ford, Carrie Fisher and Mark Hamill are expected to be involved. The series was given a dramatic new release of life last year when creator George Lucas sold the rights to Disney in a $4.05billion deal to buy Lucasfilm. The deal to have the new Star Wars film shot in Britain was secured after the UK government offered lucrative tax breaks to high quality filmmakers. New reliefs have helped attract billions of pounds worth of film-making to Britain over the past few years. In the last year alone, it’s estimated that over 300 films received tax incentives from the Government. Last month Mr Osborne hailed the UK’s creative industries, which generated £36bn a year for the economy and employ 1.5m people as “massively important”. Kathleen Kennedy, president of Lucasfilm, said: ‘We’ve devoted serious time and attention to revisiting the origins of Star Wars as inspiration for our process on the new movie, and I’m thrilled that returning to the UK for production and utilizing the incredible talent there can be a part of that. This is a huge coup for the UK’s film industry and the UK Government has recently offered similar reliefs for quality TV productions. The exact locations for the production are not being confirmed, but there is speculation that at least some scenes will be shot in Scotland. While the UK Chancellor George Osborne, has waited no time in securing large scale productions for the UK Film Industry. The Irish taxpayer on the other hand continues to pour money into the Irish indigenous sector, which is creating only a minimum number of job due to the scale of productions. Very soon the Irish Government has to decide if focusing entirely on a home grown industry is best policy to support the industry, or if its is sole aim is to continue to produce Irish content regardless of standard or lack of marketability. The UK, with a much larger home grown industry than Ireland realises that it needs to directly encourage the larger scale American productions to generate more employment. There are some out there who will say that Ireland is not large enough for that type of production however during the nineties thousands of jobs for cast and crew but also in terms of car hire, hotels, restaurants and other services. It was our lack of proper studio space that was our biggest handicap at that time, if we look North of the border today we see a very different story the industry is going from strength to strength. It all very well to support the smaller Irish production, but with a few notable exceptions the standard of productions has been low and in other cases it does not have target audience. Twenty years on from the boom in the Irish Film sector, the industry has failed to develop a coherent policy that would continue to maintain a sustainable level of employment both directly and indirectly. It has falling behind in every sector, while other competing European countries have pushed forward in adapting its policy to keep up with the changing market conditions. With tax incentives in the UK now including high end TV, the bread and butter jobs of the past few years in Irish Film will inevitably dry up. Who is really is benefiting from the current Irish policy?